STRAIGHT TALK: Prominent Virgin Islands Republican talks with PBS interviewer Tim Skubick. EAST LANSING — In a statewide TV interview in Michigan, prominent local Republican John Yob dismissed the Virgin Islands, where he purportedly lives to this day. Recall that Yob made national news after moving down just before the 2016 Virgin Islands presidential caucus in an effort to become a delegate to the national Republican convention. Back then, it looked like the party convention would be contested, meaning every delegate — even those from the Virgin Islands — would be critical in nominating the GOP’s presidential candidate. 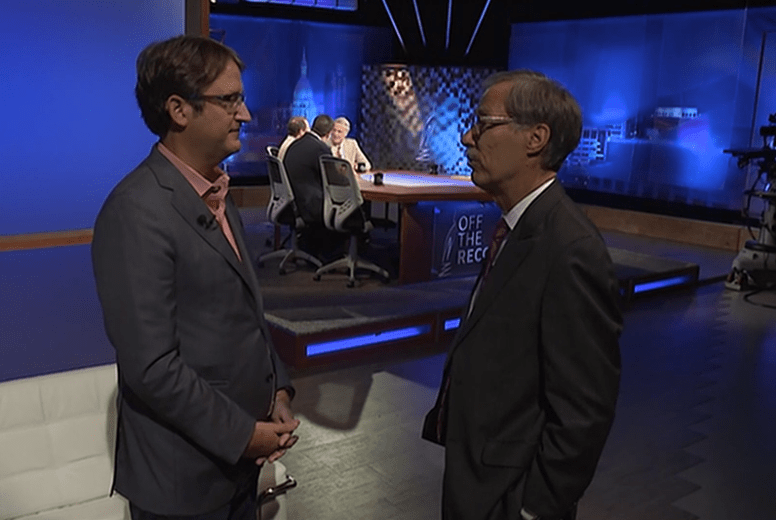 Appearing on “Off the Record” with host Tim Skubick and panelists Bill Ballenger, Chad Livengood and Kyle Melinn, Yob was asked directly about his role in the Virgin Islands. Here is a transcript of an exchange that begins at the 24:48 mark of the video. BALLENGER: What about the Virgin Islands. Don’t you have property down there? BALLENGER: Have you taken over the Republican Party down there? TIM SKUBICK: But you tried? YOB: I found it wasn’t worth the effort. SKUBICK: You were trying. Weren’t you? LIVENGOOD: Plus, you had Dennis Lennox [inaudible] for a while. YOB: You know, what can I say.